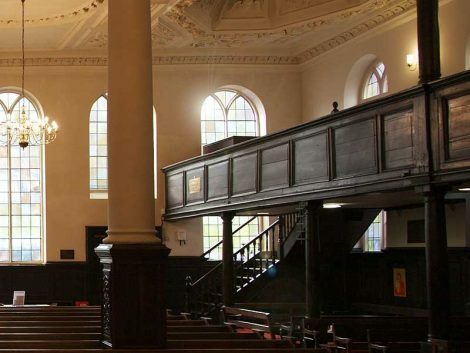 King Charles Church was designed by Thomas Neale and opened in 1676. 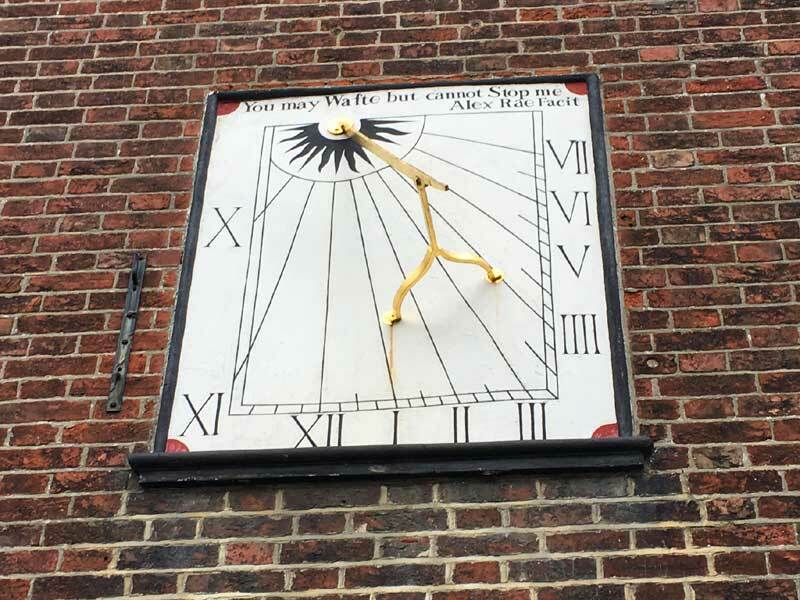 Neale was an renowned entrepreneur and property developer of the Stuart Period who was responsible for Seven Dials in London’s Covent Garden. His legacy is commemorated there in the name of Neal’s Yard. The church is a rare example of English 17th-century church building, most of the finest churches of this era having been destroyed in the Great Fire of London in 1666. 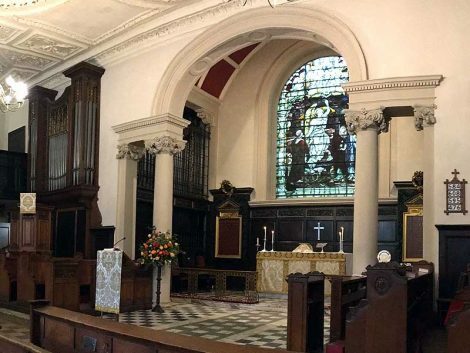 It is typical of a single-room “auditory” church (or “preaching box”) that was in fashion at the time, a form of church building that was made popular by Sir Christopher Wren’s London churches erected after the fire. 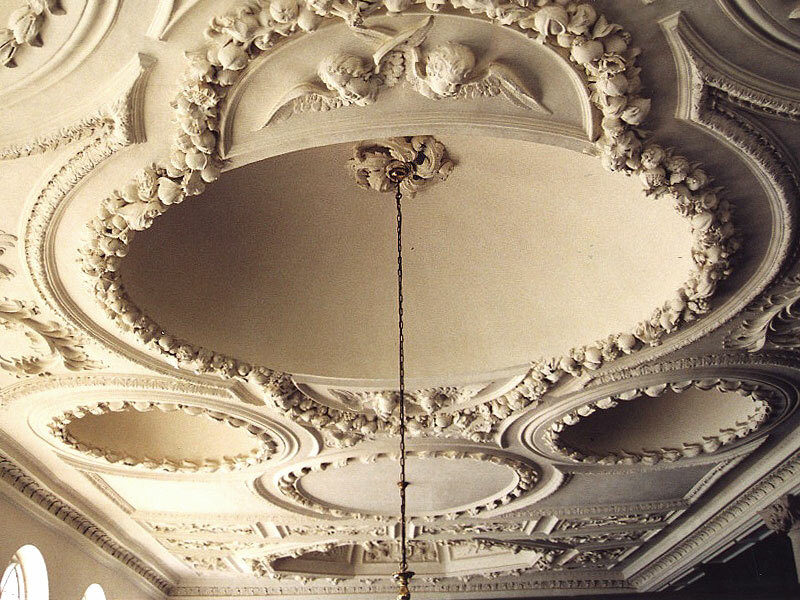 King Charles Church is especially noted for its spectacular ornate ceiling, festooned with fruit, cherubs’ heads and palms, plasterwork of the highest quality executed by craftsmen who had worked for Wren. The most striking aspect of this church is the exquisite, ornamented plaster ceiling. The five round domes form the original ceiling decorated by John Wetherell, a plasterer who had worked for Christopher Wren at Greenwich. Slaked-lime plaster was used for ceilings of this kind, the men standing on scaffolds, and working from tables. Notice how the pattern of domes, although symmetrical, is off-centre; this is because the original chapel was oriented towards the south. When the building was extended in 1682, the ceiling was enlarged by Henry Doogood, and his addition features the larger octagonal dome. The first altar, painted and on a pedestal, stood under this octagon dome. The 17th-century oak-panelled galleries on three sides of the chapel were mainly for servants and trades people, and could be reached only from outside, effectively separating the social strata in church as well as out of it. Outside stairways can be seen in contemporary engravings of the the church. Some 17th benches survive in the galleries. The sanctuary area at the east end of the church was formerly occupied by a gallery and organ loft. When the chapel became a Parish Church in 1889, the building was re-ordered and the orientation of worship was reversed. The gallery was removed, an arch was cut through the wall and the old schoolroom on the other side was used to form the new sanctuary. The two wooden boards on the wall displaying the text of the Creed and the Lord’s Prayer are by William Cheere, and came from Wren’s church of All Hallows in the City of London which was demolished in 1894. The stained glass window above the altar is by Heaton, Butler & Bayne and dates from 1901. 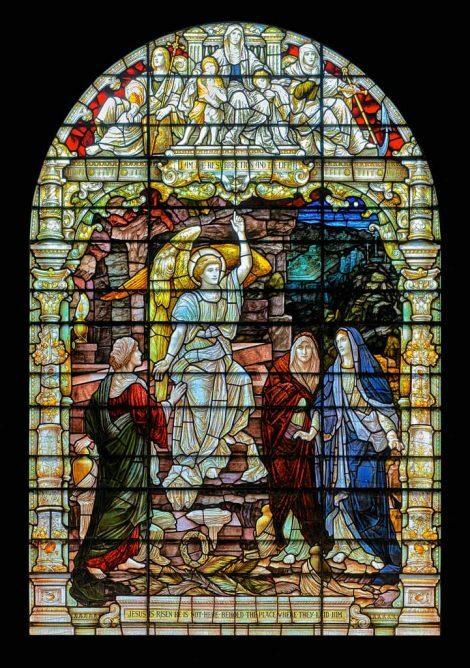 It depicts the three Marys – Mary Magdalene, Mary of Clopas and Mary Salome – at the empty tomb after Christ’s resurrection. The angel seated on the tomb points towards heaven. The text beneath is the words spoken by the angel in Mark 16:6, “Jesus is not here: behold the place where they laid him.” Above are Jesus’s words from John 11:25, “I am the resurrection and the life”. 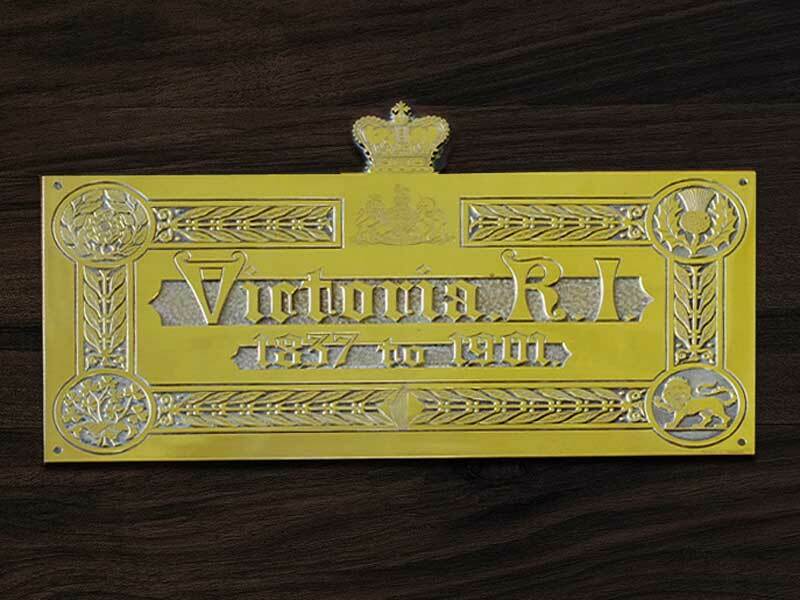 In 1835, the church was visited by a young Princess Victoria (who later became Queen of Great Britain and Ireland), then a girl of sixteen. She sat in the North Gallery with her mother, the Duchess of Kent and Strathearn. You can see a large brass plaque attached to the panelling which commemorates her visits. At the time of her visit, the church was ordered differently and this seat was at the front of the church, overlooking the preacher in a big three-decker pulpit that formerly stood against the west wall. in reference to the inexorable passage of time. Below this, Alex Rae Facit is Latin for “made by Alex Rae”, the designer.